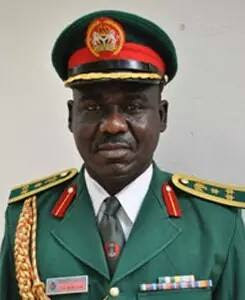 The Coalition Against Corrupt Leaders has called on the Code of Conduct Bureau to make public the assets declared by the Chief of Army Staff, Lt. Gen. Tukur Buratai. The call from CACOL followed reports in the media that the army chief purchased two mansions worth $1.5m in Dubai. Following the report, the Nigerian Army issued a statement confirming that Buratai owned the properties, and explaining that he bought them with his savings and that he had declared both assets. CACOL, however, questioned the claim about how the army chief acquired the properties. It said, “From empirical analysis, it is clear that the arithmetic does not add-up even if the General never spent a dime out of what he was to have officially earned since he joined public service via the Army. “We are therefore hereby officially requesting your Bureau, relying on the Sections 1 and 2 (and the subsections) of the Freedom of Information Act, 2011 for the details of the assets declarations of the COAS, and for the information to be made public so as to avail the general public the right to know details of COAS’s asset declarations and to put to rest the controversies thrown up by the case. CACOL also queried the processes involved in the COAS assets declaration. It alleged that “the CCB or some of its officials were either aware of the value of the said properties and chose not to raise the alarm or found the assets unquestionable”. “It could also be that the Bureau or its officials found the assets questionable but refused to act,” the coalition added. The group noted that it was a prerequisite for the Bureau to verify the true value of every assets declared by public officials. It, therefore, asked the CCB to state whether its officials verified or ascertained the value of the said palatial mansions owned by the COAS. “Answering these questions we believe will help in clearing the air and settle the dust over the possible connivance of the CCB or it officials in the assets declaration imbroglio of the COAS,” it said. The discovery that the army chief owned properties in Dubai had led to calls for his removal and an investigation into how he got the funds used for the acquisition of the said properties.